I agree with your assessments of \hideous,\ \retarded,\ and \Hell no.\ I don’t think the Moto 6.5 is all that ugly, though it does look a bit clownish. And the Rune. Like, totally, gag me with a spoon. 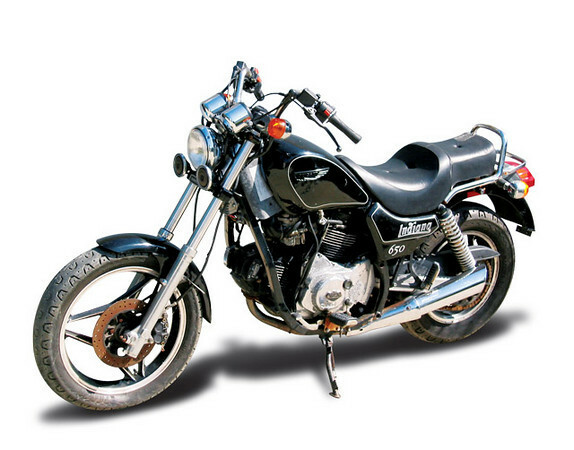 Have to disagree with you on the Honda Rune…. 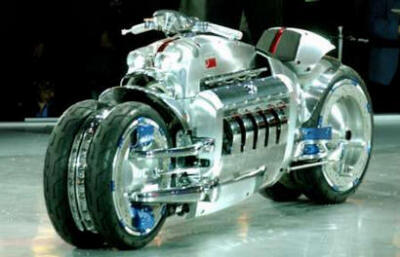 first time I saw a pic of one of these I thought it was a brilliant….. then I saw one up close at a bike show and definitely loved it…… I think in black it could have been a good bike for Sly Stallone to have ridden in Judge Dredd. It’s rare I dislike anything with two wheels but you picked the runts of the litter. These are really bad bikes. I saw the Rune in person at the Javits show when it was first introduced and couldn’t believe how long and ugly it was. Worse than I even imagined after seeing magazine photos. A bike I’d add to this list, about which others might disagree, was BMW’s first attempt at a cruiser. It sold well, but looked like a bug with chrome on it. I agree with you on all but one. I would ride that Morbidelli in a heart beat! 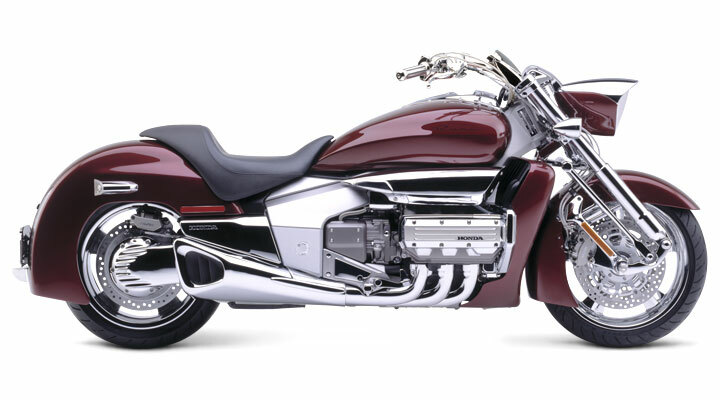 Replace that with the BMW R1200CL (the single ugliest motorcycle ever built) and you’ve got a winner. How about the Buell Battletwin & the BMW K1? Holy mackerel… serious Fug! 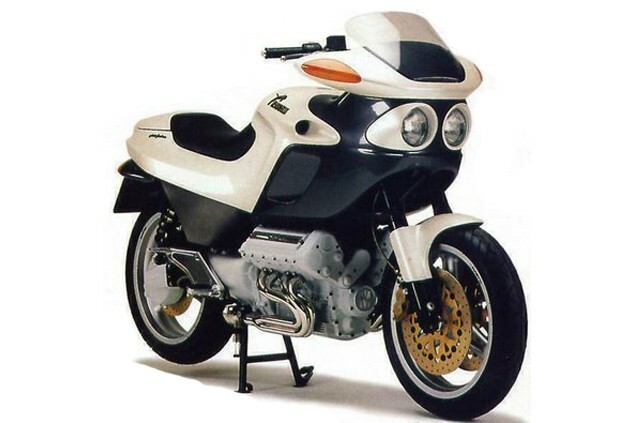 I saw a BMW K1 on the road recently……..made my eyes hurt. That Battletwin is a shocker – must be owned by one of the Lee sisters, her first name is “Ug”. The K1 is awesome! But what do I know? 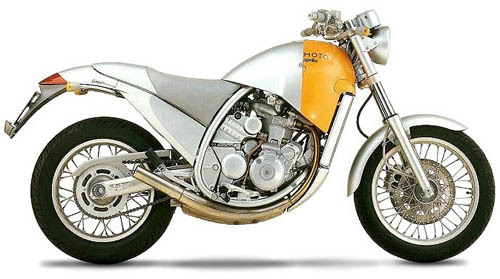 I also like the Ducati Paso and Honda’s PC800. So – anyone going to give the Alligator a thumbs-up?? If you don’t look at the Rune while you ride it, it’s actually a quite pleasant bike to ride. With the full understanding that it’s made for (and excels at) going very fast in a very straight line. That Aprilia thing could look a WHOLE lot better with some color treatment. I think it’s lines are less the issue, and the colors chose and the lack of contrast are the real problem. And yes… clowns in any recognizable form are to be feared and retired with extreme prejudice. I was right there with ya till you mentioned the Rune. That bike is too fast to not want to ride it. Im sorry, really fast just makes me crazy!! I cant help myself…. The Honda dealer in Riverhead has had a Rune in stock since they released and I think the same one still sits there today for sale. I was in there last week and it was there still i’m sure. The alligator is a funny bike I read the seat was like that for mass centralization and it was supposed to improve handling. I still wouldn’t care about it even if it made me ride like Rossi. Have to agree with you on the Alligator, what were they thinking? I’m sorry, I can’t even comment seriously since I’m still laughing about the Morbidelli V8 pics. I wouldn’t want to ride a moto with the word MORBID in it…I mean, the last thing I want when I’m riding is morbid thoughts. I get enough of those from my non riding pals. While the Ducati isn’t the ugliest cruiser I’ve seen (Suzuki Madura gives it a run for the money), it’s gotta be one of the ugliest Italian bikes I’ve ever seen. Blech! I understand the Gueney handles awesome, but yeah, yuck. 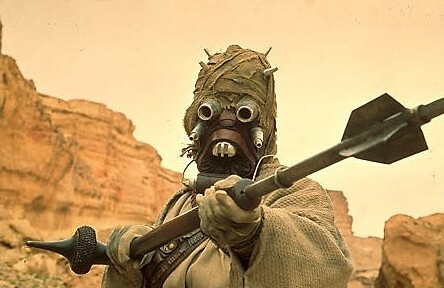 LMAO at your Tusken Raider take on the Morbidelli! When people post their ideas about the “Best” bikes, I may agree or be indifferent to their choices. But when someone wants to name the “Worst” bikes, I will pretty much disagree with EVERY choice. The plain fact is that there are riders out there for each of those bikes, and they will probably love the choice they make. “Worst” bikes is like Harley riders insisting that everything else is junk —- and of course it isn’t. 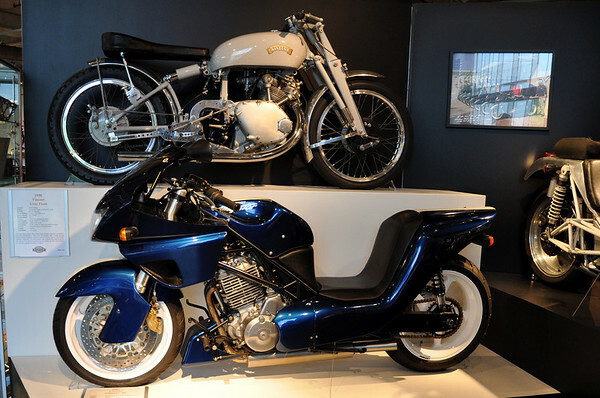 I see there is a Vincent Motorcycle in one of the pictures, and I’m pretty sure someone would name it worst because it doesn’t have an electric starter —- how wrong they would be! Although those bikes wouldn’t be my choice to buy, I would be thrilled to own any of them! Welcome aboard. The post is meant in good fun 🙂 It was simply based on pure aesthetics – not best or worst. Ooooooh! that is a good choice, Jalisimo! Beautiful? Eh… not so much. See I like extreme looking bikes that people stop to love or loathe. Fair comment about the Indiana looks, but must take issue over the assumption that just because a bike ain’t pretty that the handling is crap – I recommend that you take one for a blast. Personally, I think that some of the ‘ugliest’ bikes are the chopped or bobbed stock bikes doing the rounds – it is in these backyards and garages where some of the worst design crimes are being committed. Just saying….